I have been reading so many articles lately about the growing addictions to prescription pain medications. Doctors are under more scrutiny than ever to help their patients manage pain by non-prescription methods. Unfortunately, many docs are at a loss as to what to do. There are many non-medicine pain relief techniques available. 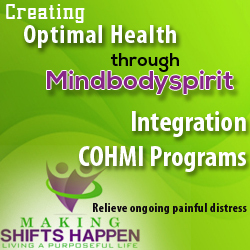 Find out more about what you can do to activate your natural healing abilities.